So many people drove by — but one family stopped to help her. 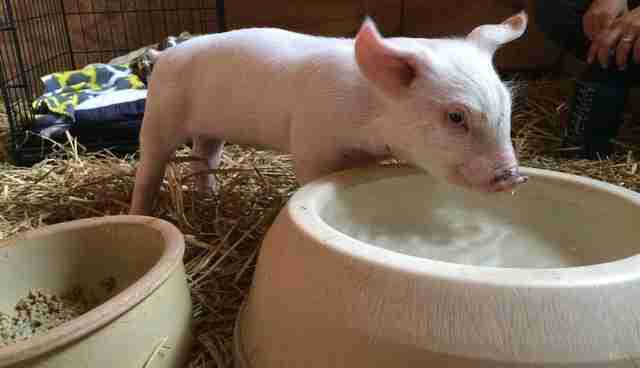 An anonymous little piglet who was found lying on the side of a Pennsylvania highway now has a name. Charlotte jumped out of a transport truck and hit the pavement hard. Stunned, she lay there while the traffic whizzed by. Then one car stopped and a family, who had been on an errand to buy school supplies, rushed to her side. 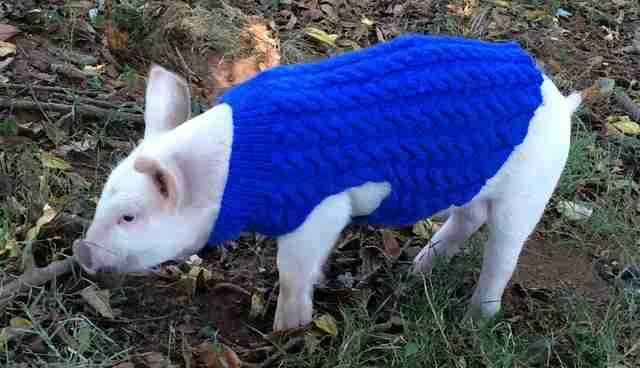 The little piglet was unconscious but still breathing, as the family picked her up and hurried her to the Adams County SPCA. When she arrived, veterinarians took her temperature; it was a whopping 107 degrees. For two weeks, Charlotte needed intensive care - she couldn't even eat or drink on her own - so the people at the SPCA helped her build her strength. 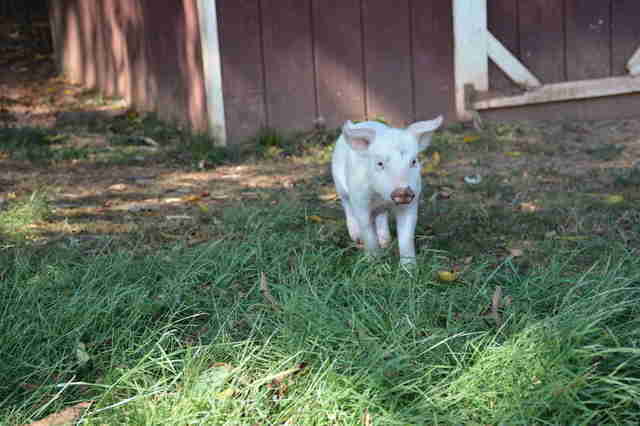 Finally, the baby pig was strong enough to retire to her forever home, Poplar Spring Animal Sanctuary in Poolesville, Maryland, where she arrived last week. "She is just starting to run and play," Terry Cummings, director of Poplar Spring, told The Dodo. "Although her wounds are still healing, she should soon be completely healthy," the sanctuary wrote on Facebook. "We are so happy that this family turned around, and that the Adams County SPCA went above and beyond to do everything they could to save her life." 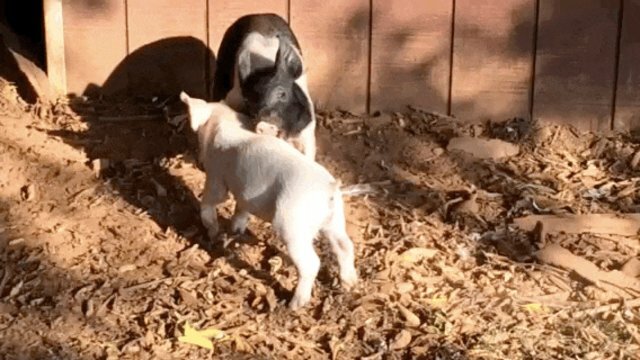 Charlotte has recently become acquainted with another newly rescued pig: Oreo, or Reo for short. 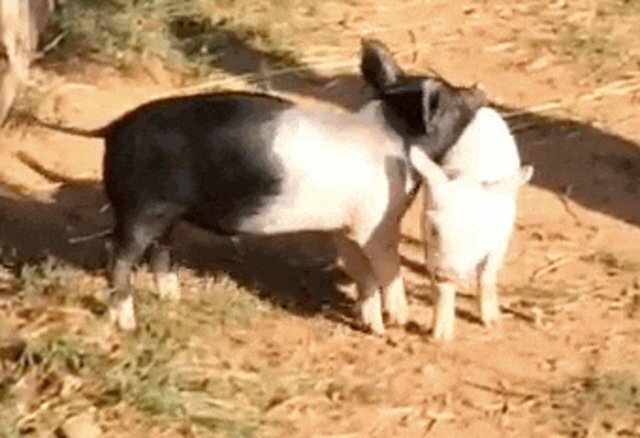 They seem to have hit it off splendidly. 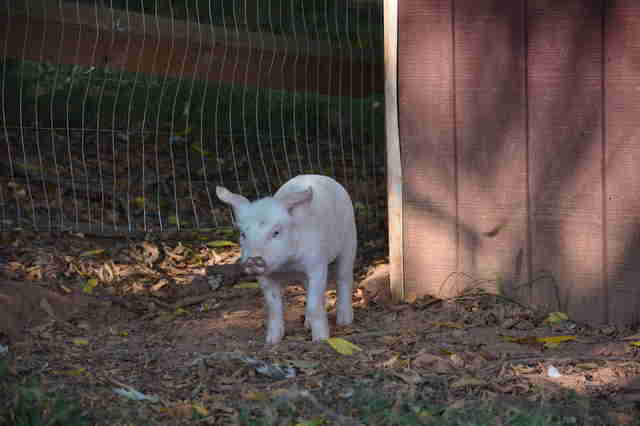 "Welcome, Charlotte," the sanctuary wrote, "you will have a wonderful life here!"